China and Brazil are in competition–and local buy-in will decide which country wins long-term alliance in the continent. China is all over Africa–with its massive aid packages, loans, investments, and thousands of Chinese construction workers. But Brazil is set on making its mark, too, and it’s hiring locally to get on the good side of Africans who want jobs and whose resentment toward the Chinese is reportedly increasing. 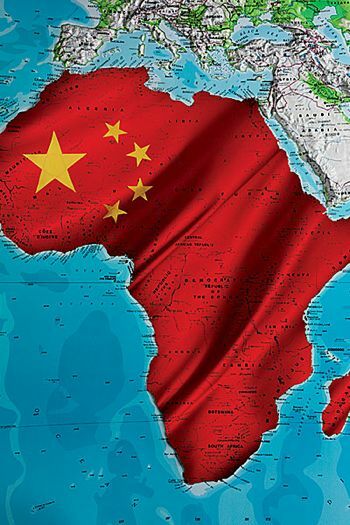 China’s presence in Africa is suspect–while often in the name of aid, its rather sweeping investment and interest in the continent’s vast natural resources is clear, as Fast Company detailed in an extensive series on China in Africa. Not surprisingly, relationships with locals are strained–Chinese workers are more often than not the ones gaining employment from Chinese contracts in Africa and tensions have exploded in some instances, leading to shootings and other stand-offs. And all of this makes it easier for Brazil to enter, as the country can learn from China’s mistakes. The United Nations and other international agencies are catching on to the trend–if the world’s emerging BRIC giants want a piece of Africa, they’ve got to do it peacefully and respectfully, which often means providing training and jobs along the way. With South Africa now set to join the BRIC group, China and Brazil will have an African peer at the BRIC summits and meetings, making their moves ever more visible to the continent, and forcing, out of necessity, a more socially responsible way forward for BRIC investors in Africa.